Nekst announces new features, Nekst for Teams. FlyerCo introduces new design collections, postcards. AgentPair launches Pairbot, a text-based assistant. Good software is never finished. As the real estate industry evolves, so should the products that support it. Technology providers also can’t let their customers outgrow them. Nekst is a transaction management solution that I reviewed quite positively. I liked its very organized approach to nesting tasks within major transaction milestones. Few products have been able to “systemize” real estate sales as well as Nekst. A true process-improvement tool. It makes quick work of the steps that drive transactions. Visually ergonomic and easy to learn; adoption is fast. No capital costs; applicable to a range of office sizes. 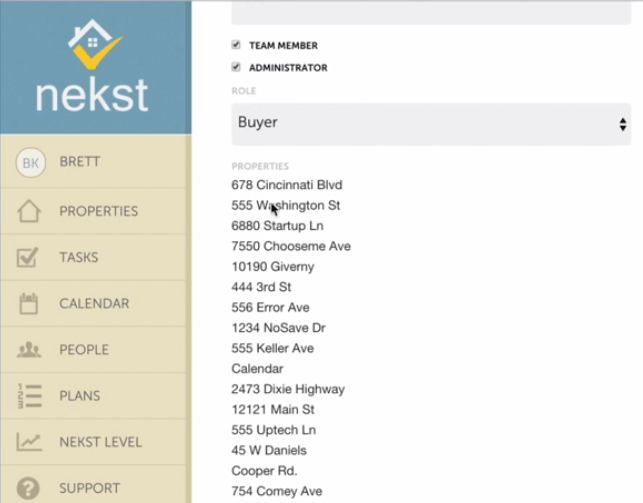 Nekst now has a collaboration environment enabling agent teams and assistants to work together on listing Plans. Nekst now has a collaboration environment. Tasks can be assigned to others within the Plan, which can then be managed via each collaborator’s role. Alerts and notifications ensure Plan progress and team members are assigned to specific properties. Users can also link assistants or marketing admins to all listings at once. Among other recent updates, like Activity Tracking, I think the team features put Nekst into a new, more compelling category. This update turns what was essentially an agent-level productivity solution into something that will appeal to brokers and much larger offices, especially through the new Account History view, a quick breakdown of activity on all properties. Even with Nekst for Teams, the product’s pricing remains well outside the enterprise level. FlyerCo is the easiest and best-looking real estate collateral software I’ve reviewed. As much as I like Canva for social media content, FlyerCo is a superior tool for real estate listing fliers. No designer needed. All you need to know is what design you think looks good for your company. The ease of use will surprise most agents, even with their first design. The template selection doesn’t bury the best looking options under account upgrades. Every flier choice demonstrates compelling visual design. This isn’t an overly complex technical update, more of a common-sense evolution of the offering. FlyerCo bases its template selection on popularity. FlyerCo bases its template selection on popularity, keeping in the rotation options that sell, trashing those that don’t. New designs will reflect the better choices and, thus, trends in marketing design. In addition to newly named Collections, each FlyerCo category now has a companion postcard, along with a number of Listing Sheet options and Open House templates. AgentPair has smartly linked on-demand consumerism with home tours. AgentPair has linked on-demand consumerism with home tours. A great way for agents to affordably earn new business. Mobile agency is becoming the norm; AgentPair further enables agents to find business outside the office. Safety Alert: enables agents to share with others when they arrive and leave a showing. Pairbot is a very compelling take on the CRM. Essentially a text-based real estate concierge, Pairbot requires only your device’s native texting software. 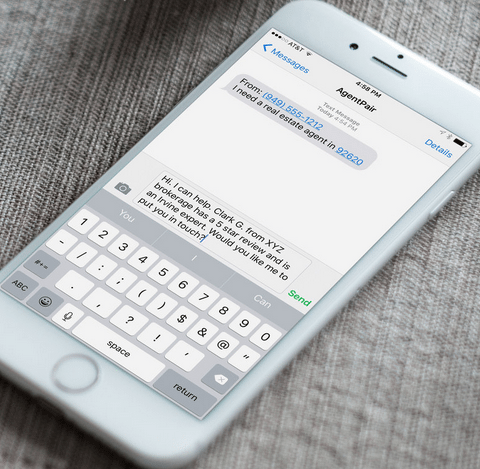 Text a contact’s name to Pairbot, and the next day you’re texted a reminder to call that person. New contacts are added using “#contact” then responding with a name. These CRM-like tools are only a small part of the new product. The plan is to use texting to refer consumers to professionals in their area. Consumers can ask for market advice and receive responses from registered Pairbot experts. For example, “Who is the best agent for ZIP code 96161?” Or “Whom should I call for a mortgage in Magnolia, Arkansas?” Actual humans will respond with their wisdom, Siri-like. As more questions come, its wisdom will evolve. Do you plan to use any of these products — and what do you think? Leave a comment and let us know!